AUTHENTIC THAI CUISINE... WITH A TWIST! Maybe it’s date night and you’re turning up the heat with Thai food at home or maybe you’re simply expanding your culinary horizons. Whichever it is, Twist on Thai café is here for you. When you’re looking for restaurants in the area or places to eat, we hope you think of us in Hopatcong. 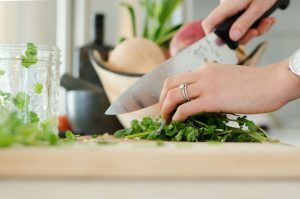 If you’re looking to cook from home tonight though, then this blog can be a resource to help you create Thai food you’ll love. How are you going to make your favorite Thai curry or tom kha soup if you don’t have coconut milk on hand? It’s creamy and will give your dish just the flavor you want. Soak up flavor, juices, and more with delicious sticky rice, a staple for any Thai dish, or find another type of rice for your meal. Sure, you could make your own. But even the most renowned cooks use premade curry pastes. Pick up a red and green paste, and you’ll be ready for whatever meal you’re going to whip up. Rice vinegar is a must-have for many dipping sauces, but it’s also commonly used as an ingredient in many Thai dishes. It will give a distinct, almost sour flavor that you’ll love. You may already have these two cooking staples on hand, but we just want to be sure! They’ll add flavor, crunch, and intrigue that you would sorely miss out on without them. No Thai dish is complete without a tasty sauce to pull it all together. We use fish sauce or oyster sauce most commonly in Thai cuisine. If you always have these two sauces on hand, then you should be set for most dishes you’ll try to cook up in your kitchen. Nam pla, or fish sauce, is made from fermenting fish with salt. This is where the sodium in your favorite Thai dishes likely comes from! Fish sauce can be used as a condiment or an ingredient when cooking. 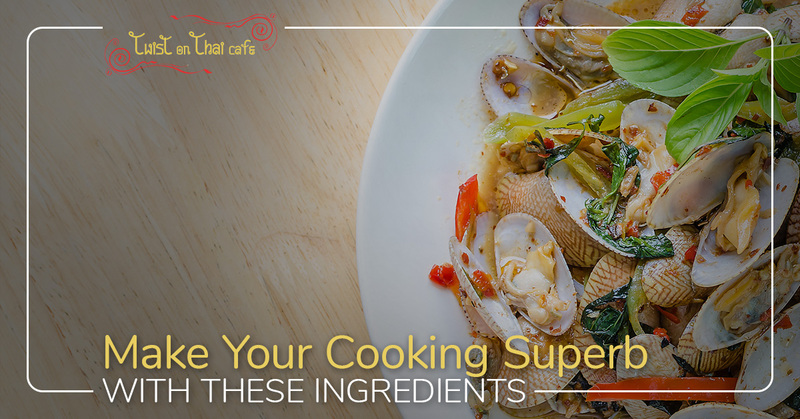 Oyster sauce is made of caramelized oyster juices, salt, sugar, and sometimes soy sauce. When you’re cooking up a stir fry or wanting to marinade something, oyster sauce should be your go-to. 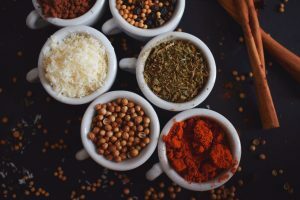 Thai Basil and Holy Basil – There’s a world of difference between Thai basil and the sweet basil we have here in the U.S. Use Thai basil in soups and holy basil in stir-fries. Cilantro and Mint – Cilantro and mint are both popular garnishes for many Thai dishes. Vietnamese Coriander – Add this distinctive spice to everything from curries to salads to rice and more for a rich flavor. Feel ready to take on the tasty world of Thai food? You should. If you’re not feeling up to it at some point and you want to go running to the nearest Thai restaurant, then we’re here for you. We’re a vegetarian-friendly restaurant, and you’ll love our modern and traditional Thai dishes. Check out our menu today and make a reservation!